In this article I demonstrating how to make a consistent UI in SharePoint 2010 in various mobile browsers. Client wants everything in their hand, which means on mobiles (because of a busy schedule there is no time to open a laptop/system) . Client doesn't want to compromise with UI. Application should be simple and easy to use. Application should be scalable and easy to extend in the future. Out of all four, the following three are already provided by SharePoint. SharePoint is lacking somewhat in the first point. But as I said we developers can do anything so here we can provide a solution for "We will bind the SharePoint without breaking SharePoint Rules". 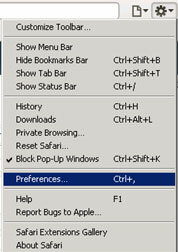 Click on the Advanced tab; check "Show Develop menu in menu bar" then close. As I said, the client always wants the same UI so our next target is to make the same UI as it is in a normal PC browser. 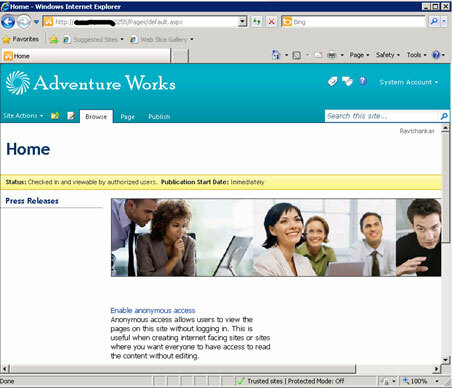 Go to "Run", enter "C:\inetpub\wwwroot\wss\VirtualDirectories"; select your site port number e.g. Port:2255, then my comple path should be like "C:\inetpub\wwwroot\wss\VirtualDirectories\2255\App_Browsers". Open the "Compact.Browser" file in Notepad. 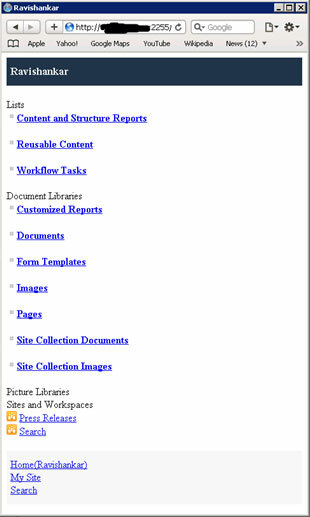 The browser.compact file helps you in finding a browser before loading the sharepoint site in the browser. Open the file in Notepad and Find "<userAgent match="iPhone" />". Change "<capability name="isMobileDevice" value="true" />" to "<capability name="isMobileDevice" value="false" />". That's all. We are done with our requirement. Hope you like this article and the beginning where you can show your SharePoint on a mobile browser as well. 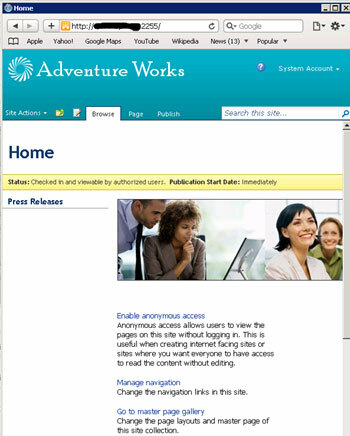 How to Use java script validation on SharePoint 2010 List. Didn't find what you were looking for? Find more on Consistent SharePoint 2010 Branding for Mobile Browsers Or get search suggestion and latest updates. Ravishankar Singh author of Consistent SharePoint 2010 Branding for Mobile Browsers is from India. Ravishankar Singh says I am a SharePoint developer.